Oh, in other news- I finally got a new camera!!! (mine bit the dust a few months back) So expect some great new pictures too! 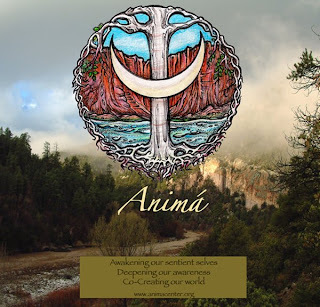 In the meantime.....Announcing the new Medicine Woman Tradition and Animá websites! A home for all herbalists, healers and students of the living earth, featuring medicinal herb profiles, the inspiring writings of Kiva Rose, descriptions of the Medicine Woman Core and Herbal courses, and the magical Medicine Woman Gathering held each Summer in the forested mountains of New Mexico. 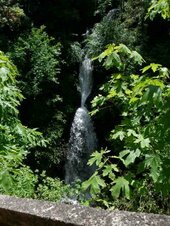 A site offering empowering Shaman Path, Rewilding, Medicine Woman and Path of Heart online courses, and a free articles archive… as well as information on wilderness retreats, vision quests and workshops at the Animá Sanctuary, a wild river canyon and ancient place of power in the enchanted Southwest. Animá is the way of vital, authentic, purposeful being… of heightened awareness, radical honesty, connective sentience, self knowledge and self love, purpose and conscious action, bliss and balance, health and wholeness… correspondence Courses, events and books drawn directly from the source, from the living earth and through our intuitive hearts, manifest in our commitments and acts on our unique individual paths. The Animá Medicine Woman tradition focuses in addition on the committed healing of self, others, and the world we are a part of. Please consider a supportive Membership. And thank you so very much for your interest and alliance, helping spread the word about this special place and service. We are only able to give because of you. New Online Course! 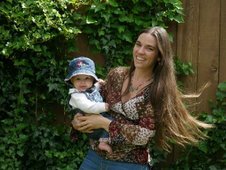 "Holistic Herbal Remedies For Children" ! Disclaimer: These posts are for education only not medical information! I am a mom of 2 amazing kids Ella & Wyatt. 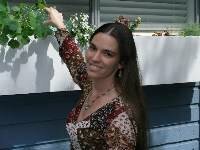 I am a self taught herbalist (constantly learning & growing) with a Master Herbalist diploma from ACHS. 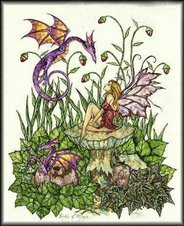 I love herbalism because I feel there is always something new to learn from the plants. 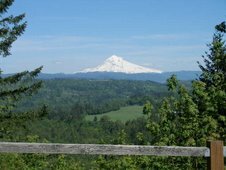 I teach basic herbal online courses at universalclass.com, I also take others on herb walks near the Sandy River & Mt Hood in Oregon. I am a Licensed Massage Therapist. I love the spending time outdoors with family , hiking, wildcrafting and camping. I also have a certificate in holistic nutrition from ACHS. I have experience as a wellness director,nutrition consultant, personal trainer & aerobics instructor, although I no longer work in this area. The past few years I have developed an interest in Sacred Plant Medicine and the practices of indigenous herbalism.